Less than 50 percent of Americans likely to benefit from cholesterol-lowering drugs are taking them, according to a report from the U.S. Centers for Disease Control and Prevention. 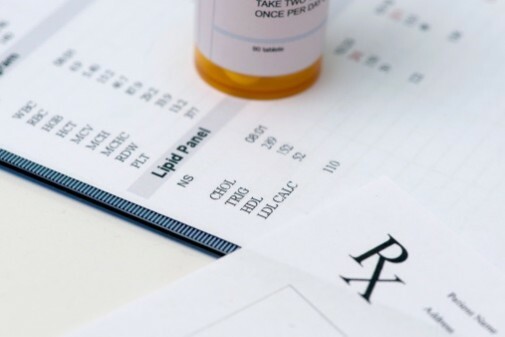 More than 33 percent of U.S. adults are eligible to take these medications under current guidelines or were already taking them, but only 44.5 percent of them take drugs such as statins to manage their high cholesterol, researchers said. Approximately 35.5 percent of Americans also admitted to not taking medication or making lifestyle changes that could help lower their cholesterol levels. There has been an overall decline in the number of Americans with high blood levels of cholesterol and a recent increase in the use of cholesterol-lowering medications, according to the CDC. But, a high level of LDL cholesterol, also known as “bad” cholesterol, remains a major risk factor for heart disease and stroke. The study also showed that minority populations, including blacks and Mexican Americans, were less likely to take medication than white Americans. Among those who would benefit from taking the drugs, 58 percent of whites were actually taking them compared to 47 percent of Mexican Americans and 46 percent of blacks. People with heart disease, a prior heart attack or some type of stroke, or angina. People 40 to 75 years old with diabetes and LDL cholesterol levels of 70-189 mg/dL. People ages 40 to 75 years old with LDL cholesterol levels of 70-189 mg/dL and an estimated 10-year risk of heart disease of 7.5 percent or more. Dr. Reddy says there’s a whole new category of cholesterol medicines available, called PCSK9 inhibitors, that can be used in patients allergic to statin cholesterol medications. He advises people to consult with their physician about all their options. I am a current patient of a doctor at Advocate Health Care in Eureka, IL. This doctor has prescribed a statin for both myself and my spouse based on the current cholesterol guidelines. After taking the medication for about 2 weeks, both of us experienced a high level of muscle and joint pain, one of the listed side effects of the statin medication. When we reported this to our doctor, he suggested cutting the pill in half and taking a half dose. When the pain continued, we again sought guidance from our doctor. He then suggested taking a Co-Q-10 over the counter medication which he said may mitigate the pain. It did not help and we both discontinued taking the statin. We also advised our doctor of our decision. He had no other treatment options. The new medicines for cholesterol is great news!!! I have adverse reactions to the statins. If my doctor doesn’t mention it I will certainly show her this article!!! You could try supplements from a health food store yo control cholesterol. Red Yeast Rice or Resveratrol works. John Green: Many people have reactions to cholesterol medication, but there are many types to choose from. 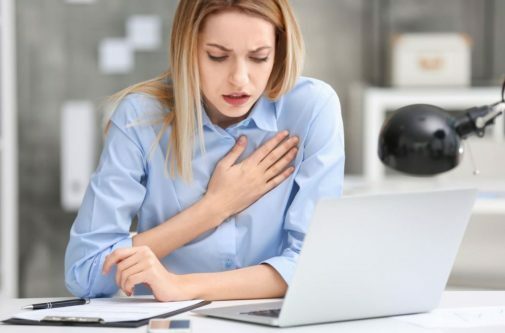 The least expensive is simvastatin (the generic for Zocor), but there are several other options besides that – Lipitor and Crestor being two of the more popular options – that could prove to be effective. I can’t imagine why the doctor didn’t change the brand of medication, because some people end up trying a few different meds before they find one that agrees with them. Keep trying and good luck! Start with 250 mg of Niacin for 20 days them bump it up to 500mg. No more high cholesterol. Drug companies don’t want you to know this. John Green: John Green I was having the same problem you were having muscle contraction, I was on Lipitor and Crestor. Because of the problem I was having my doctor prescribed Niacin to lower my cholesterol. Have your doctor to prescribe Niacin flush free. It has worked for me..
Niacin is a nice idea, but it also needs to be monitored by a physician. It has been known to cause liver damage (much like some cholesterol medications), so don’t start taking anything without checking with your physician. You’ll need to have blood tests taken to monitor the liver functions (again, the same as with any cholesterol medication). Also, niacin can react with other medications you’re taking, and reacts particularly badly with alcohol. Just because something can be found over the counter doesn’t mean it’s without risk, and that also includes the red yeast rice. Please discuss this with your doctor before doing anything. We’re all well meaning, but I’m guessing no one here knows your specific medical needs.